The move is considered the first step toward a total citywide ban of the bags. According to city officials, more than 2 billion plastic bags are currently handed out to Angelenos. Los Angeles becomes the biggest city in America to enact such a ban. San Luis Obispo county officials initiated a near-total prohibition of plastic bags in October of last year. Kirsten James, water policy manager for the advocacy group Heal the Bay, lauded Los Angeles officials for their action. “This sends a strong signal to Sacramento that we need a statewide policy,” she said. Three weeks ago, California’s legislature declined to approve a similar statewide ban. A paper bag fee will be ten cents, similar to San Luis Obispo County’s regulation, and opponents cited that as a reason for their dissent. Failure to comply will bring fines, according to an ordinance provision. In the old days when I was in college I was a garboligist picking up garbage while getting fit and in my fighting shape and making a hell of a lot of money while doing it. The land fill was huge and later used as a place to build houses on. Today these houses are well over two million dollars. They are right up on the top of the hills off the 405 by Sunset blvd. My point is the plastic bags helped. Who cares if they are not biodegradable. No one is going to be ticked off about the bags when houses are built on top of them. They are partially used as a filler. LA is as crazy as SLO. SF is going to make them legal again due to people getting sick from the germs in the fabric bags. Sounds to me like the lawmakers are pissed off at the plastic bag maufacturer’s of plastic bags. Seems to me that’s becoming the American way. You can always go into the produce section and use the plastic bags provided there. You say your point is that plastic bags helped, but you don’t explain that once in what you said. How did they help you make “a hell of a lot of money” picking through trash? But anyway, the major problem isn’t the bags that end up in the landfill. It’s the bags that don’t end up in the landfill and instead pollute the landscape and waterways. It’s also the manufacturing and resource codes for a throwaway commodity. Indeed, the problem is LITTERING. So let’s ban all things that are littered. Problem solved. Right? I could never understand the ban on plastic bags. True, they don’t degrade in landfills, but they take up much less space in the landfill compared to paper bags that really don’t degrade either. Several groups throughout the country have “mined” landfills just to find old newspapers 20′ down that have not degraded and can easily be read. Add to this the millions of extra trees that are needed to supplement the recyclable paper for paper grocery bags. Think about everything else you buy and own that is plastic. Where does it eventually end up. Yep, your trash can and the landfill. Oh, yes, and your trash cans are plastic too. Bring your own cloth bags… not a bad idea if you also remember to wash them occasionally as it has been proven they are a breeding ground for bacteria and can become very unsanitary over time. So the answer is to grow your own vegetables, milk your own cow, and own chickens. 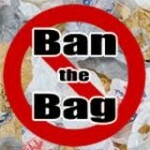 I’m proud that SLO County banned the practice of stores providing free, disposable plastic bags. Having to pay even a dime for a paper bag from the store has been incentive for lots of people to remember to bring their own bags when they go shopping. apparently they are not disposable. Don’t ever be fooled, any “ban” is only about control. Small or large, it is all about controlling the populace. If they were really concerned about the litter, they’d adopt extreme punitive assessments to those caught. Heck, maybe a fine for walking by and NOT picking up litter that is clearly visible to one (imagine what that would be like: a fine for not picking up litter!) Of course there would be mechanisms in place for error and oversight, but clear violators (littering and failing to clean the city) would be punished – not monetarily, but put into a clean up crew for the next 10 weekends, etc. Or if it was about “saving the planet” (as idiotic as that always sounds to sane people), we could mandate biodegradable plastics EVERYWHERE they are possible. Why do we not see that? Because we’re stupid and expecting a “them” so solve “our” problems. We get what we deserve, to paraphrase Franklin. You can say the same about any law. Of course laws are about control. You could argue that we don’t need laws against driving drunk or speeding because you and most other people are personally responsible, but there are always those that aren’t that ruin things for everyone else. Yes, we could mandate biodegradable plastics everywhere, but that would jack up the costs for everyone and people would have a fit. Using a re-usable cloth bag instead of wasting disposable plastic bags is a simple and easy change that most smart people are already doing. …and they, of course, obey laws. As someone who worked the highways, picking up these bags always made me sad that “we” couldn’t be more responsible about how we dealt with them, as a population. This is what it comes to; “Big Brother” is legislating our behavior, again. So preventing the sale of one item will stop litter? Are cans and bottles next? What about paper? Or, in this area, mattresses, couches and other “student droppings” ? Tree huggers are trying to ban paper bags usage due to large number of trees being chopped down. And that is fine. Be honest. I think the whole thing around the plastic bag ban is dishonest. I would BECOME that “Tree Hugger” if paper were wasted and the trees not replaced responsibly, but come on, what lumber/paper company is not going to reinvest in their own future by re-planting? Of course there are laws telling them to, anyway… just in case. I have mixed feelings on this whole bag ban issue. On one hand, there are a lot of people who are very careless about disposing of them and the ban is probably the only way to get them to stop. On the other hand, people like myself who recycled them (garbage can liners, dog poop collection, etc.) now are buying bags to replace the ones we got our groceries, etc. in. This isn’t a major issue with me but I generally tend to dislike laws that limit everyone to prevent a segment of the population from doing bad things. I guess that it is a cheaper solution in this case than strictly enforcing litter laws but it sets a bad precedent. It is “probably the only way to get them to stop” – well, as long as nothing else is tried, it sure might be. i’ve always hated plastic bags except for cat & dog poop. paper bags are cool, i can put my empty wine bottles in them, fold the bag up, put it in recycle bin and wife never notices….or so she tells me. i did hear a poliitician say today that these plastic bags even wind up in bird’s nests. bad chirp.